What Makes Sofia #BulldogSTRONG: In her three years at Golden Valley High School, Sofia Bernal has involved herself in numerous leadership positions on campus in order to provide support and create a positive environment for students on campus. As freshman and sophomore, she was the Secretary for her respective classes and as a junior, she became the Commissioner of Cultural Affairs for the entire ASB, elevating her visibility and impact on campus. 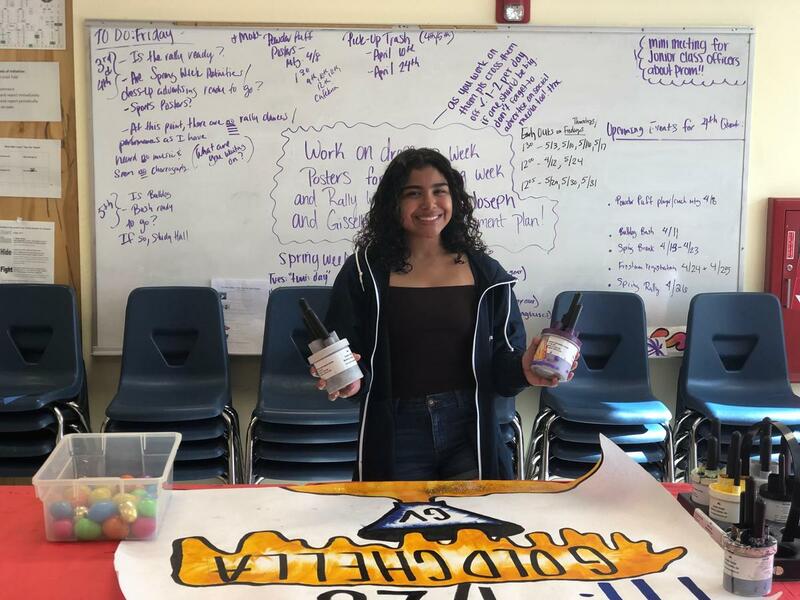 This past March, Sofia ran for ASB President for her senior year and due to her impact, optimism, and care for Golden Valley, she was elected to serve as the primary student leader on campus next year. For Sofia, she wants to create a school wide climate that supports the needs of students. "Golden Valley is an amazing place and there are a lot of adults that support the needs of students," states Sofia, "However, I think students connect better with other students. As ASB President, I would like to be able to create groups on campus in which students feel safe to express themselves without ridicule or repercussions. For example, one goal of mine is to create a club on campus that supports the needs of female students. This club would be student led and would serve as a safe haven for girls on campus." In addition to her commitment to helping the girls at Golden Valley, Sofia wants to help freshmen as they transition to high school. "I want to change the way freshmen enter high school," explains Sofia, "I want to help take away the anxiety and stress that freshmen deal with. I'd like to help create #BulldogSTRONG lessons geared specifically toward freshmen so that they are comfortable and excited to be at Golden Valley." Sofia's commitment to supporting the needs of students and her ability to treat everyone she meets with kindness makes her a #BulldogSTRONG ASB President. Beyond her endless leadership qualities, Sofia has been an active member of the Bulldog Swim team for the past three years as well. This year, Sofia has established herself as one of the top swimmers in a wide variety of events - 100m Fly, 200 IM, 4x50 Medley Relay, 4x100 Relay and often finishes near the top of the leader board every time she enters the pool and competes. In addition to swim, Sofia volunteers her time at Mercy Hospital Downtown as she helps at the front desk as visitors sign in. Her infectious smile is a calming presence for those people that are dealing with the anxiety and stress of the hospital. "I really enjoy working at the hospital," states Sofia, "Every Sunday I spend 4 hours helping people. I consider it my duty to help SERVE people in the community and the hospital is the perfect opportunity to allow me to do that." In addition to her time at the hospital, Sofia is also part of the RN Club at Golden Valley which provides additional opportunities and experiences for students interested in the medical field as a future occupation. With all of her extra curricular activities, Sofia never forgets the importance of her academics. Currently, Sofia has an overall GPA of 4.104 and has been enrolled primarily in GATE, Honors, and Advanced Placement classes and passed the AP Euro exam with a 3 last spring. Sofia has aspirations of attending UC Berkeley or Johns Hopkins University and major in Human Biology with the intent of becoming an OBGYN in order to promote and support women's health. 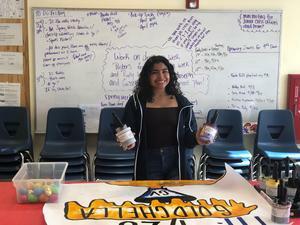 Golden Valley is excited to have Sofia Bernal serve as its 2019-2020 ASB President as she consistently demonstrates what it means to be #BulldogSTRONG. What #BulldogSTRONG Means to Sofia: "Being #BulldogSTRONG means, that as students on this campus we should be able to stand by each other in love and respect. The tenants of #BulldogSTRONG allow for us to be leaders on campus, but they also allow for us to be leaders in the community. Being #BulldogSTRONG means that we take what we have learned at Golden Valley High School and put into use in the community."